The 7th Pacific Regional Wood Anatomy Conference (PRWAC) hold on August 3rd to 5th 2009 in Kuala Lumpur, Malaysia.The conference covered a wide range of topics in wood anatomy and related subjects. The anatomical structure of wood play an important role in selecting the proper wood for particular usage because they affects strength properties, appearance, resistance to penetration by water and chemicals, resistance to decay, pulp quality, and the chemical reactivity of wood. During the Asia Pacific Forestry Week 21-26 April 2008, Hanoi, Vietnam, The Steering Committee Meeting of Teaknet was held at 1.00 PM on 21 April 2008. 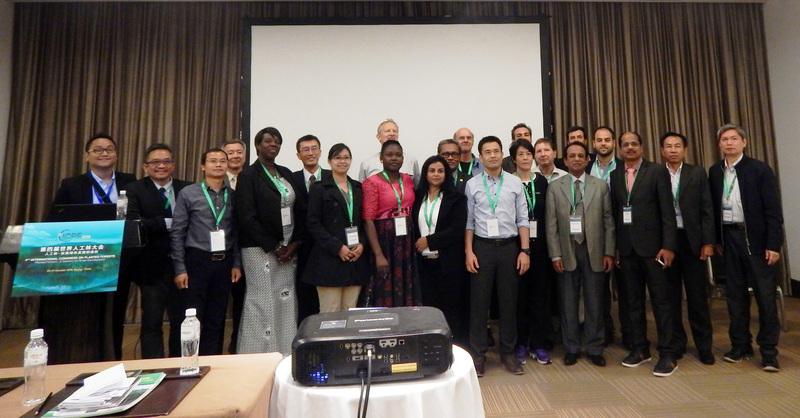 The Meeting was attended by 18 participants from different countries.